The date palm, mentioned more than any other fruit-bearing plant in the Qur’an, is a symbol often associated with Islam and Muslims. Throughout the month of Ramadan, dates are a common ingredient in the Muslim diet. 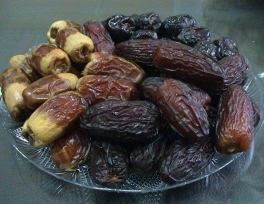 The Prophet said: “Break your fast by eating dates as it is purifying,” (Ahmad). 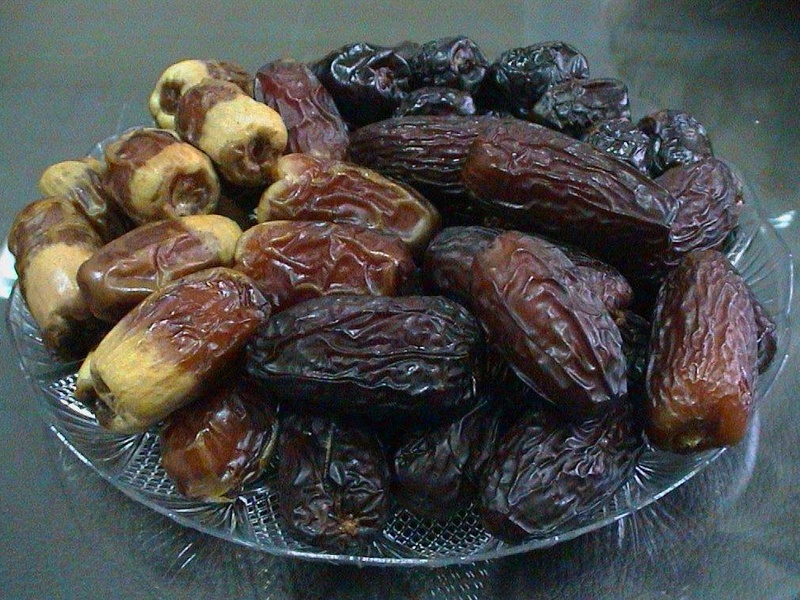 Ajwah is one of the excellent varieties of dates grown in the Madinah region. In Surah Maryam of the Holy Qur’an, Allah provided Prophet Isa’s (peace be upon him) mother Maryam (peace be upon her) with fresh dates when she was experiencing discomfort and pain during the final stages of her pregnancy. The date is also referred to in the Holy Qur’an as one of the blessings that would be offered in Paradise. In several traditions the Prophet ate dates with some other fruits and vegetables. “Abdullah ibn Jaafar, may Allah be pleased with him, said the Messenger ate cucumbers with dates.” (Al-Tirmidhi) According to two other traditions recorded by Al-Tirmidhi, the Prophet ate dates with watermelon or muskmelon. It has also been reported that the Prophet used to put chewed dates or honey into the mouths of newborn babies. Reference to the palm tree could also be seen in chapter Qaf, Al-Shuara and Al-Nahl of the Holy Qur’an. In early descriptions of the Prophet’s Mosque in Madinah, historians state that the leaves of the date palm were used as a roof covering.